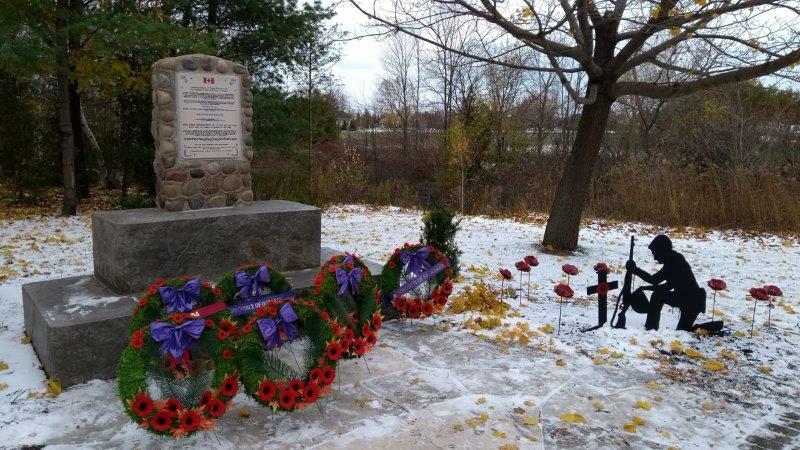 It was on Saturday November 10th. 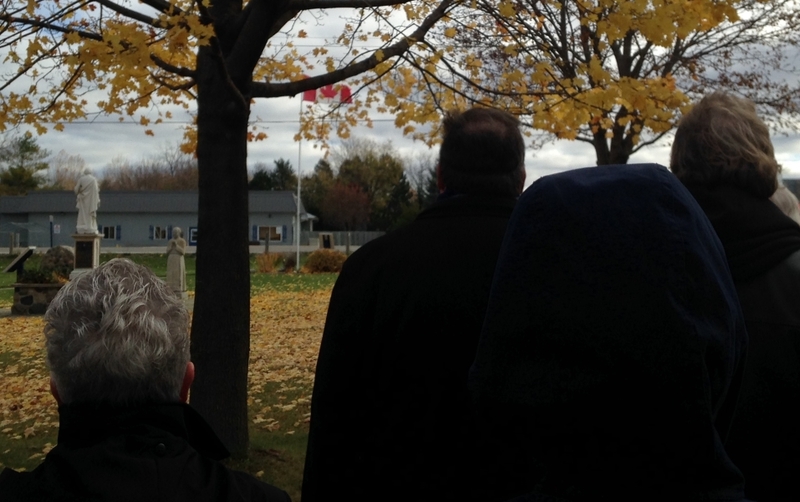 It was cold and windy. 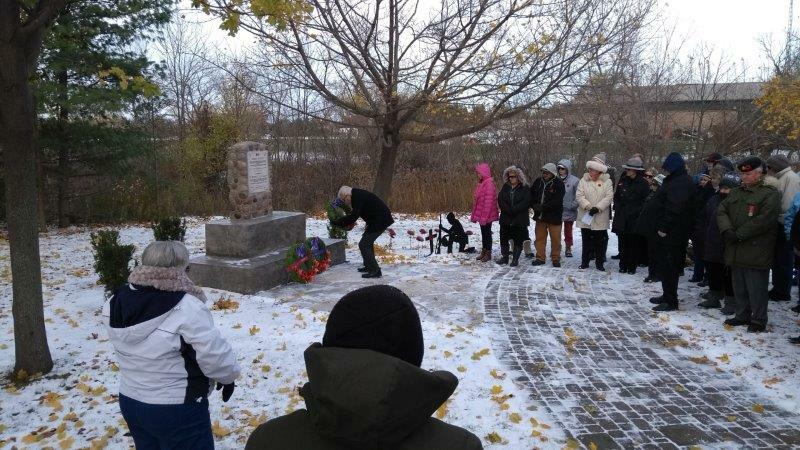 We remembered them and thought of what it was like at the end of World War 1. 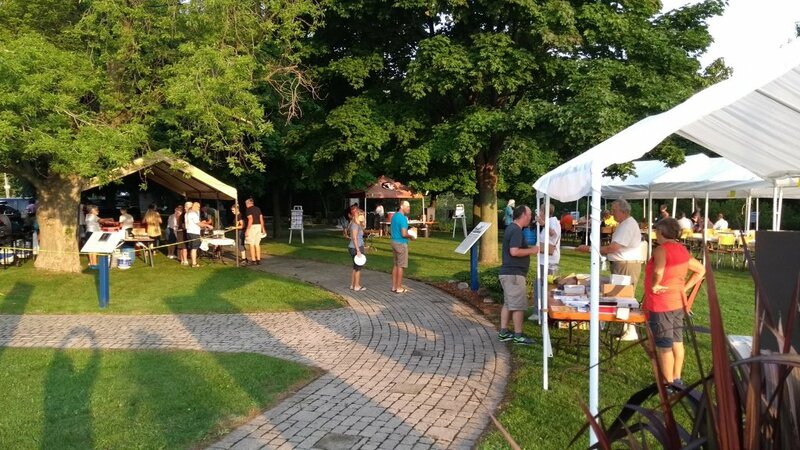 This is a free event – Bring some friends. 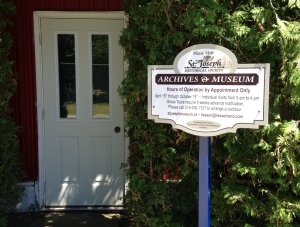 Curious about the history and stories of life within the walls of the Huron Gaol? 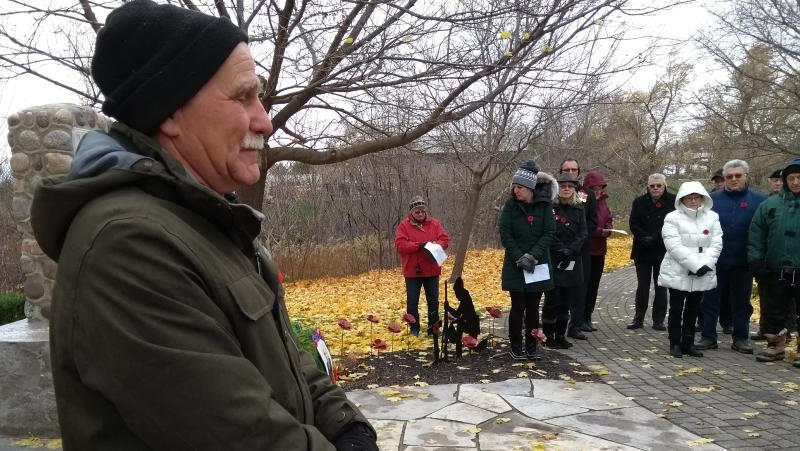 Join Senior Curator, Elizabeth French-Gibson, to discover life at the jail beginning in 1841 and stories of the men, women and children including criminals, the ill and the homeless who spent time behind bars at the Gaol. 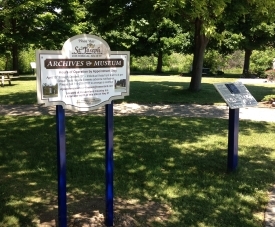 Volunteers from the Huron County Museum and Historic Gaol’s popular summer Behind the Bars programme will also tell the stories of the historic characters they portray. 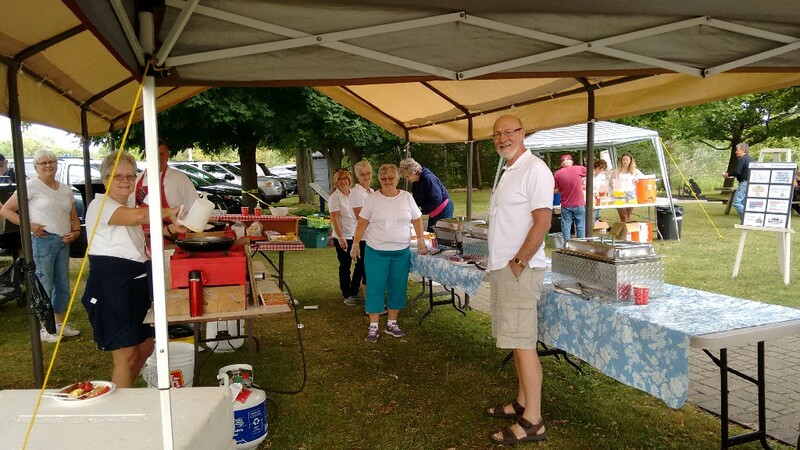 Once again the weather was wonderful and the volunteers exemplary. 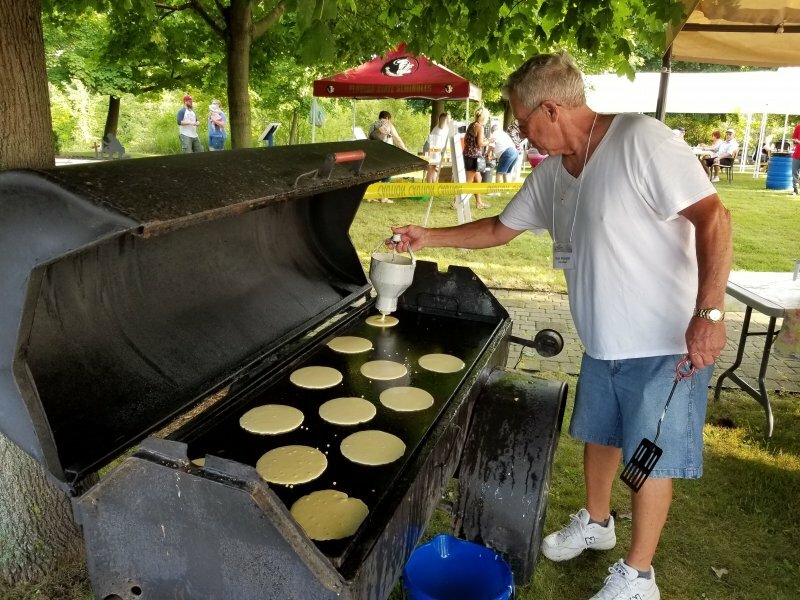 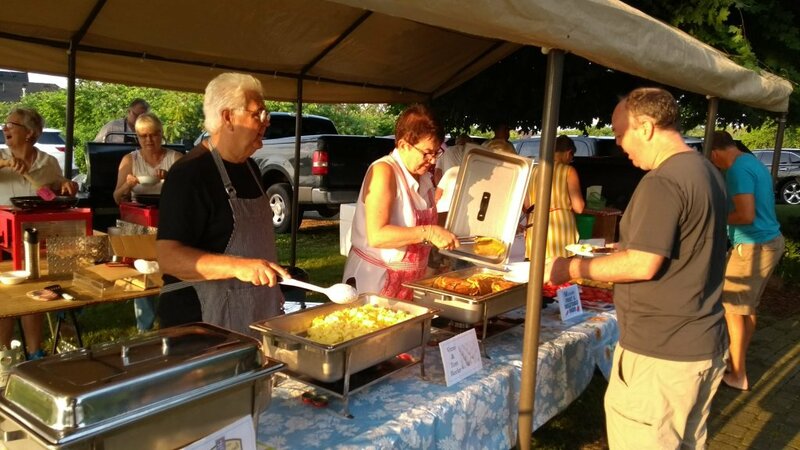 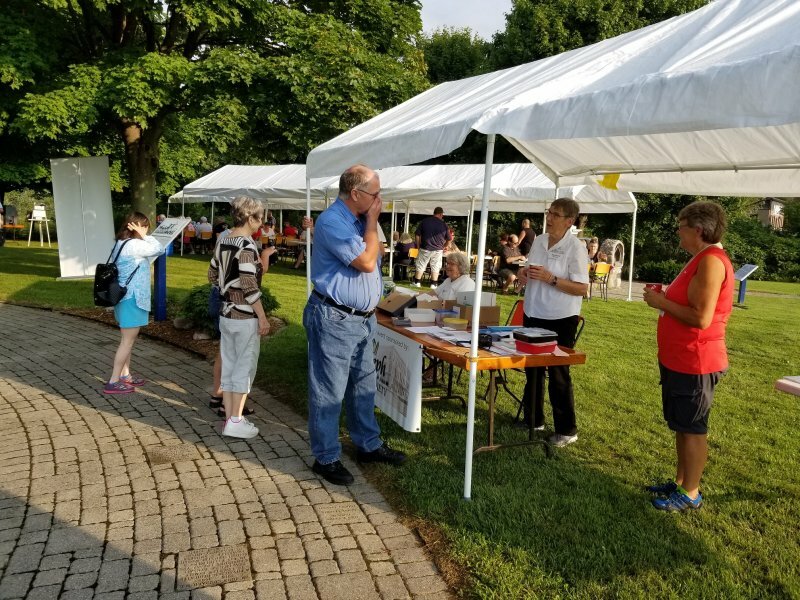 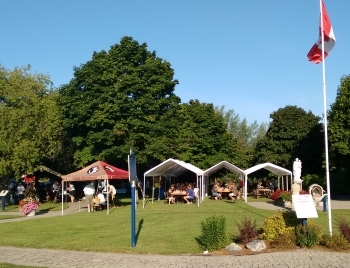 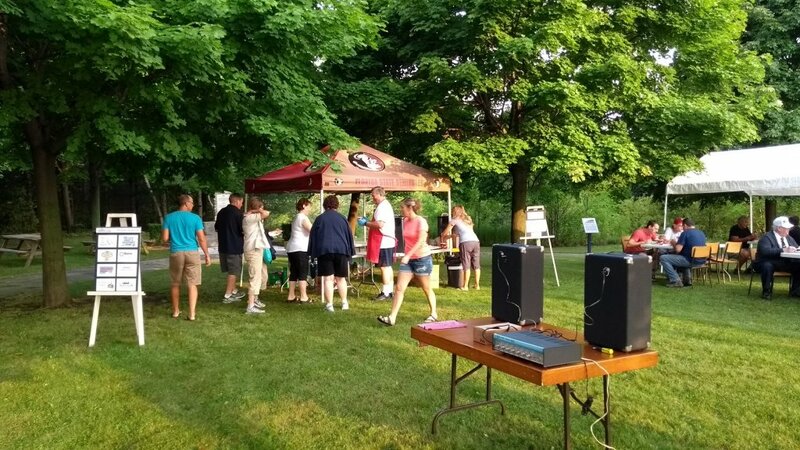 Thank you to the friends and neighbours who celebrated Breakfast in the Park with us this year. 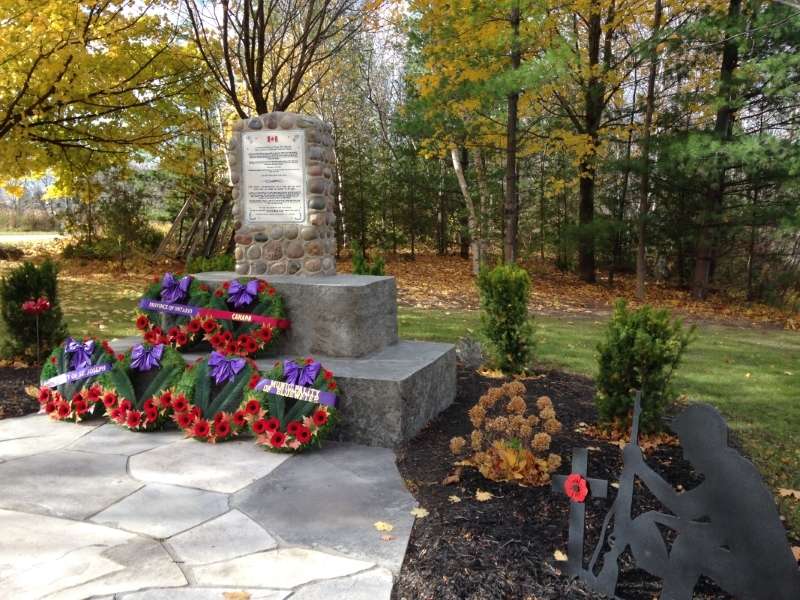 A very special thank you to our sponsors and donors. 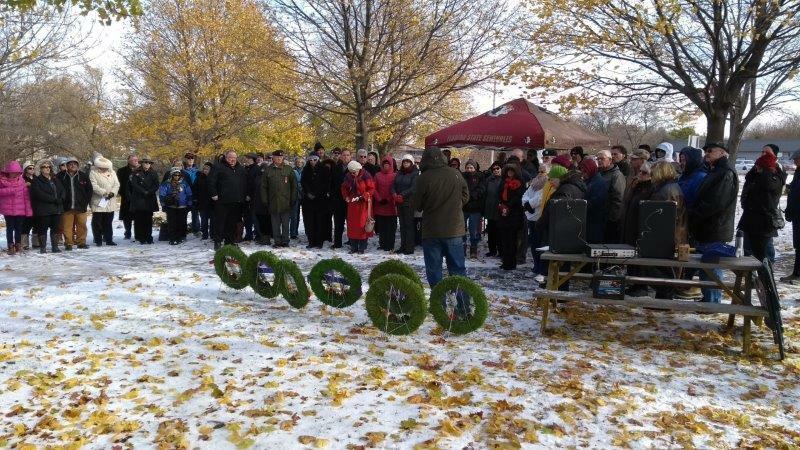 It was a snow covered, cool day with great attendance. 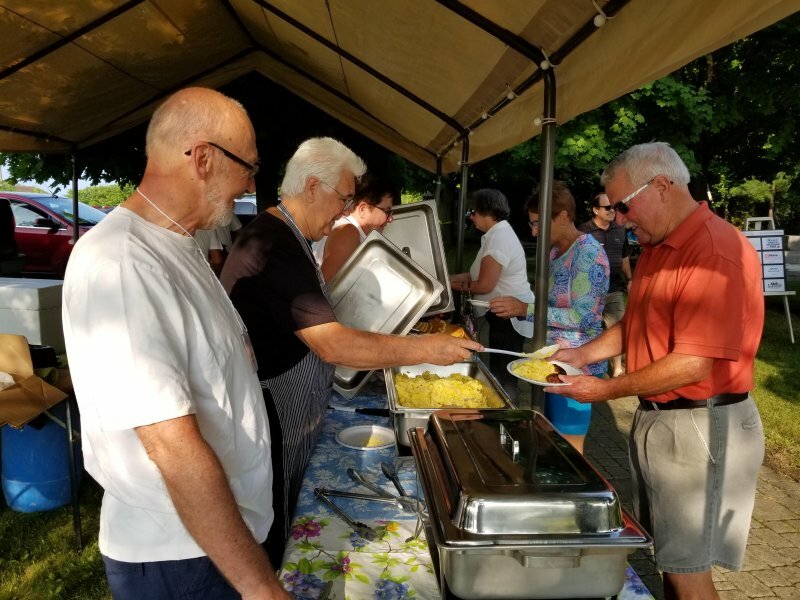 Thank you to the friends and neighbours who celebrated Breakfast in the Park with us this year. 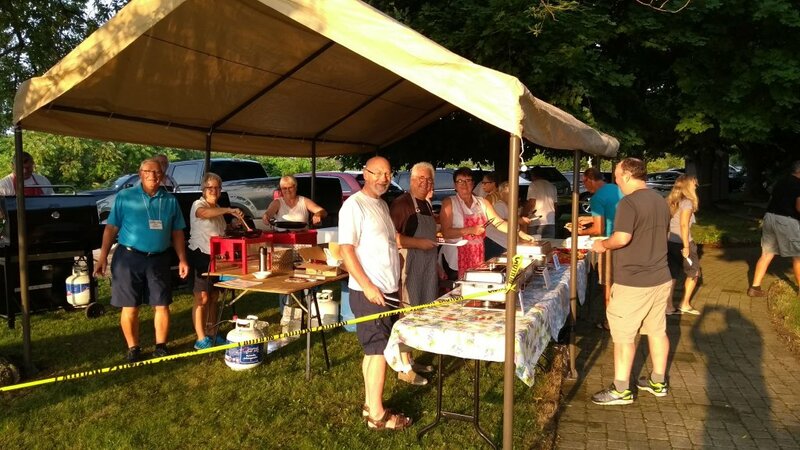 Again the weather was wonderful and the volunteers exemplary. 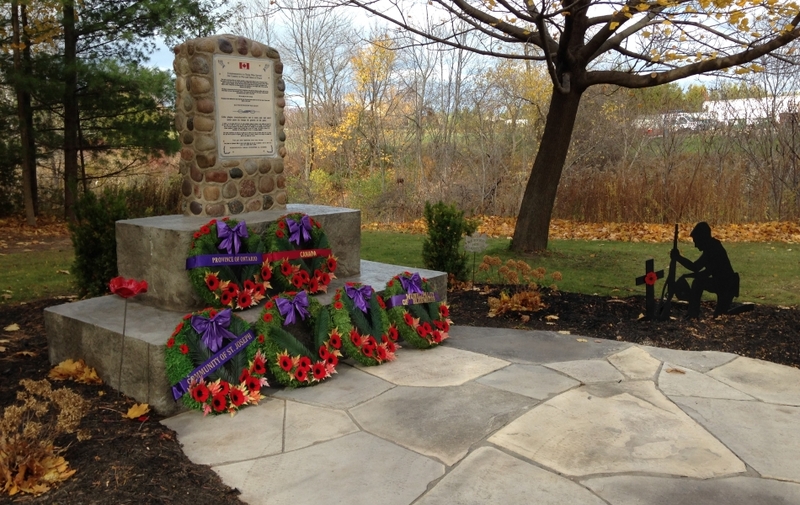 A very special thankyou to our sponsors and donors. 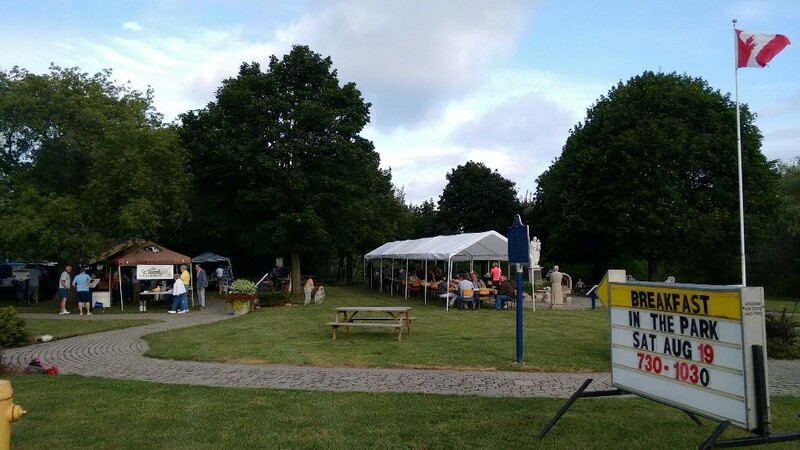 It was a cool, cloudy day. 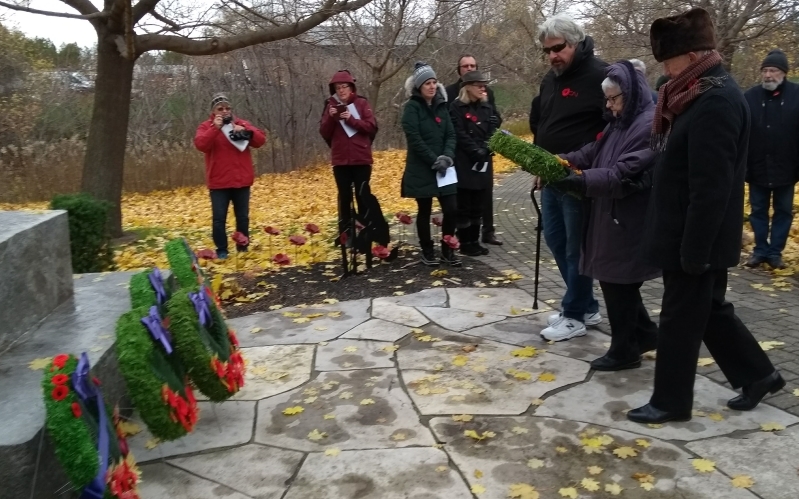 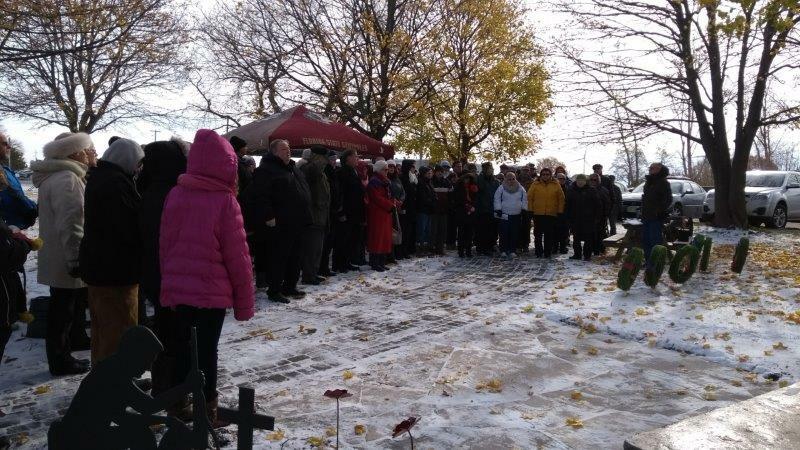 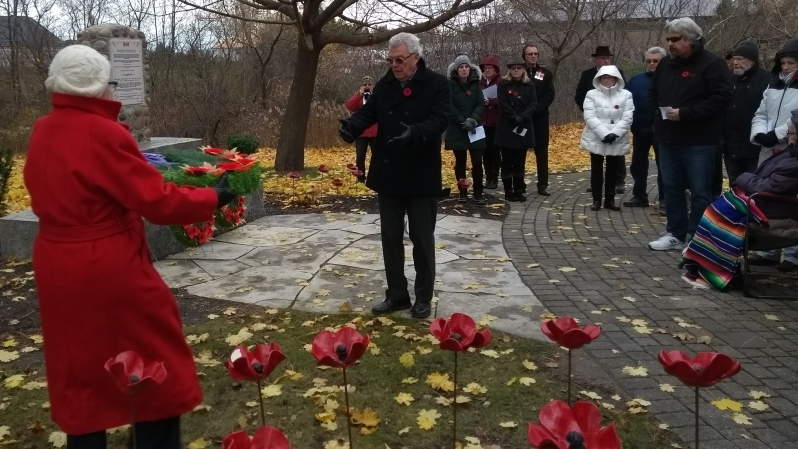 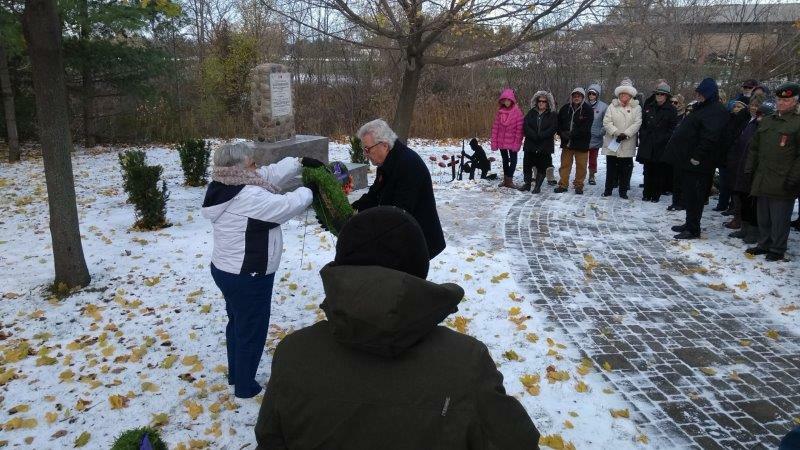 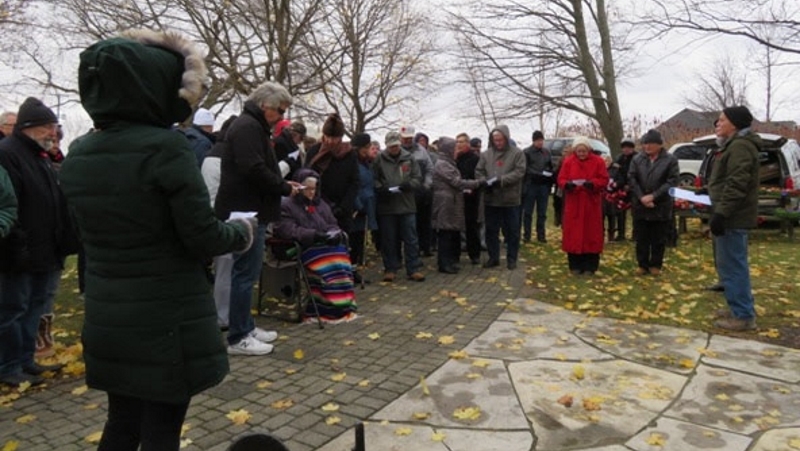 The society has been Hosting a Remembrance Day Memorial service at the park for the past 5 years, 2016 will be our 6th annual service. 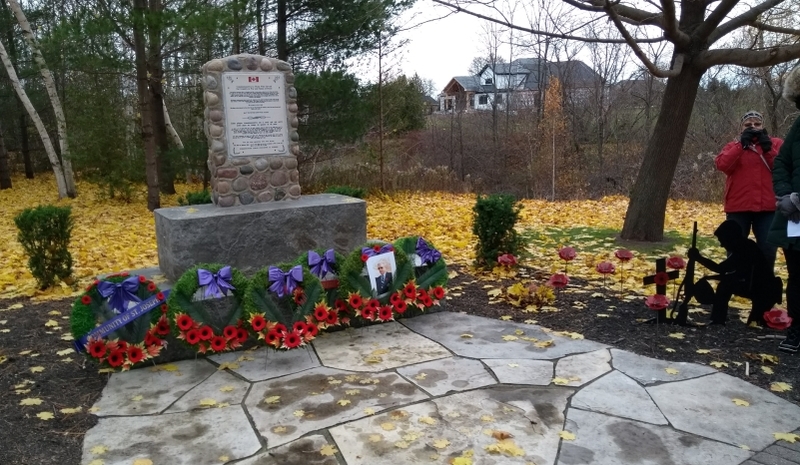 The park has a memorial monument to honor and recognize those men and women who have served our country for several years which was built by Tony LaPorte from beach stone and cement. 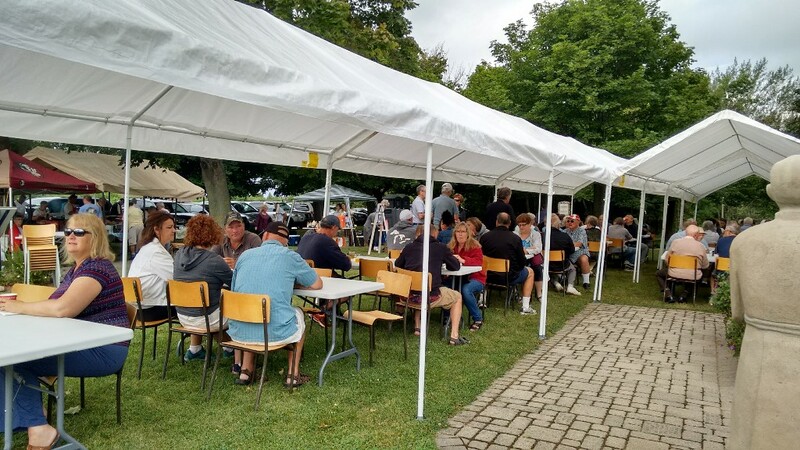 Each year the attendance has been growing where we are now getting between 75 and 100 people in attendance. 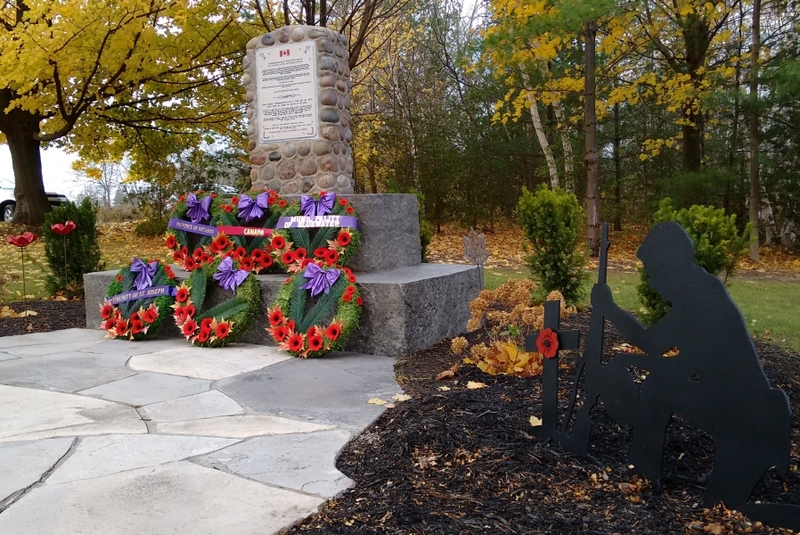 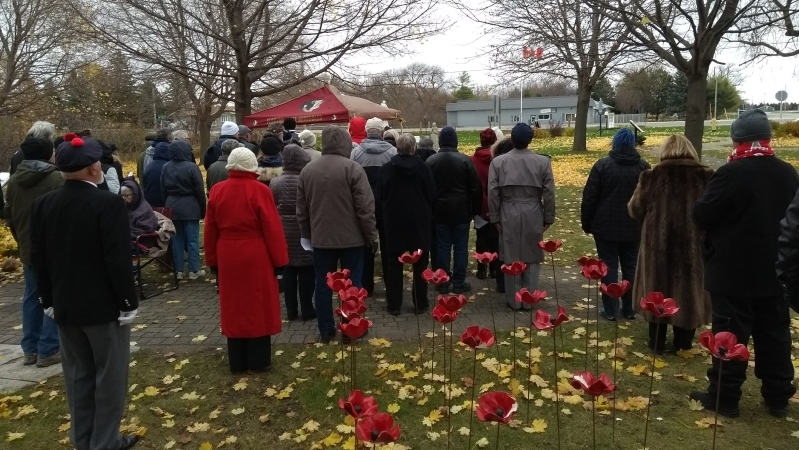 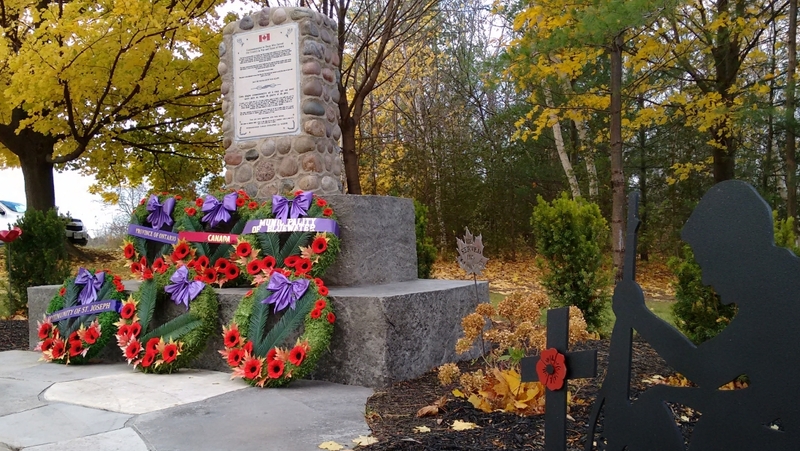 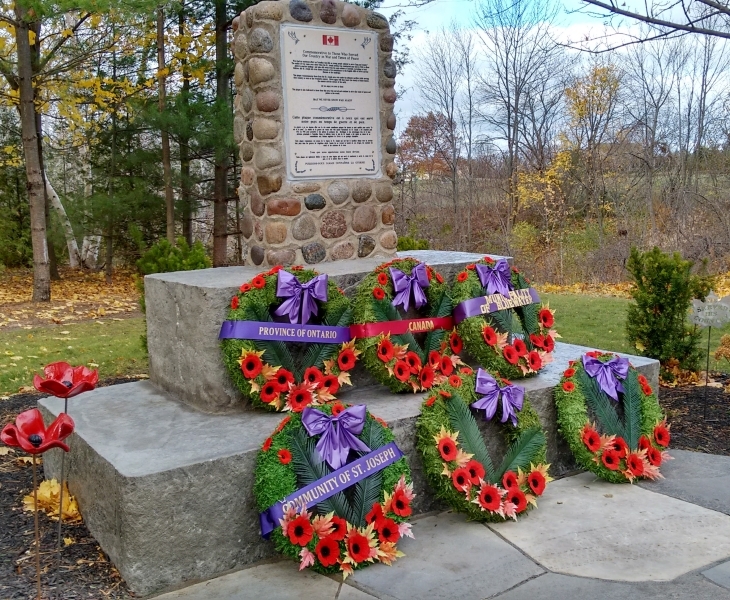 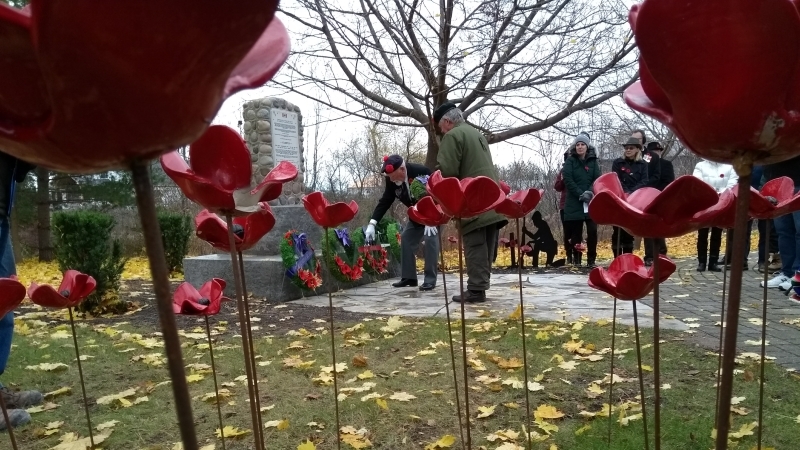 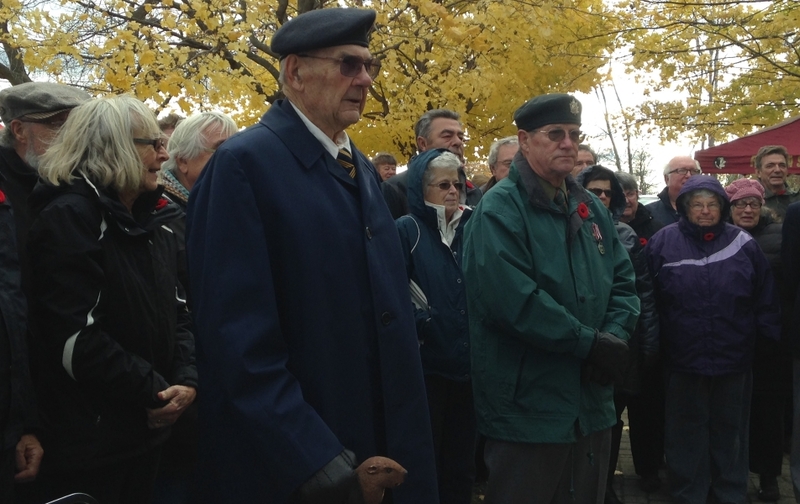 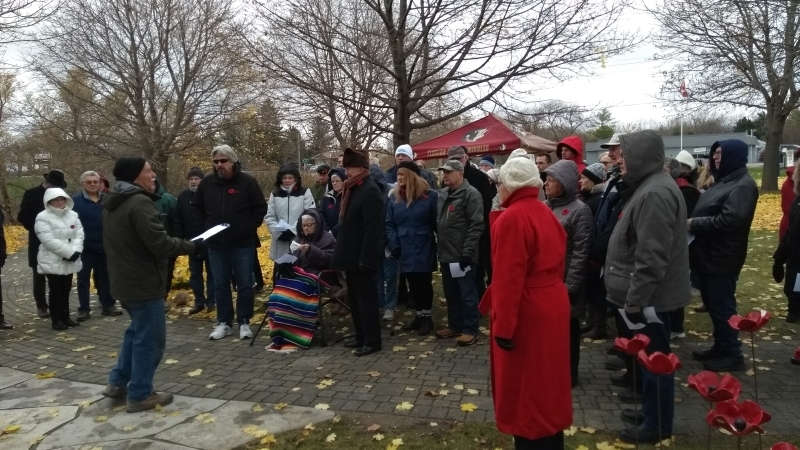 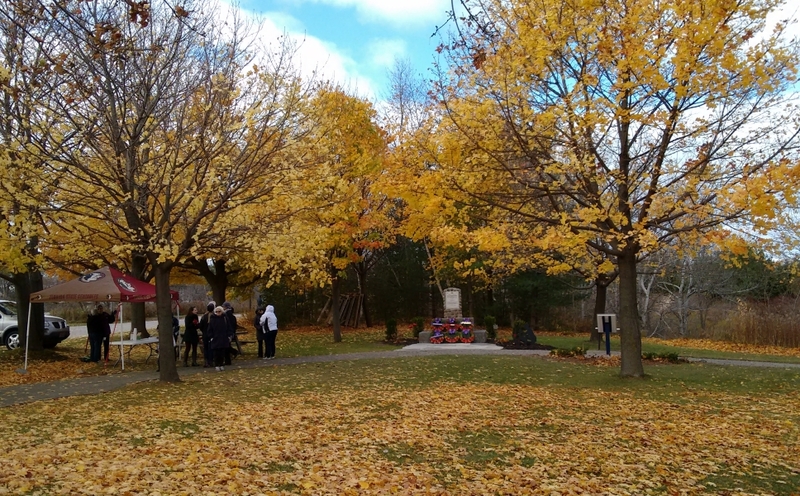 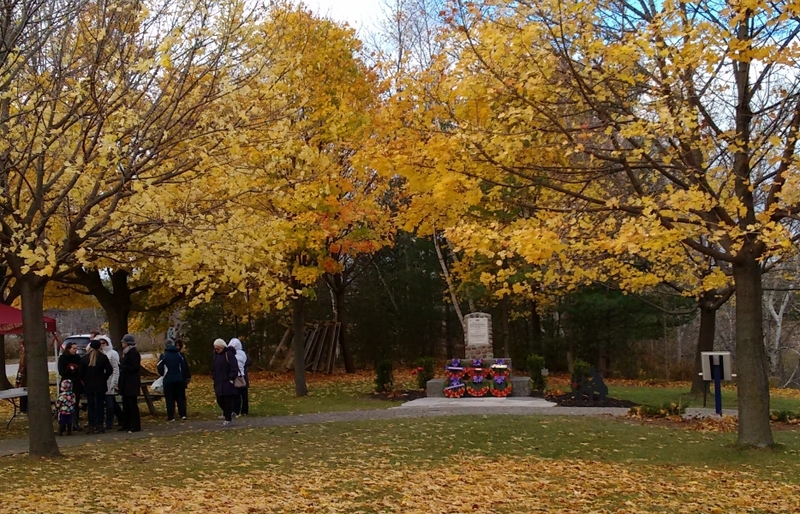 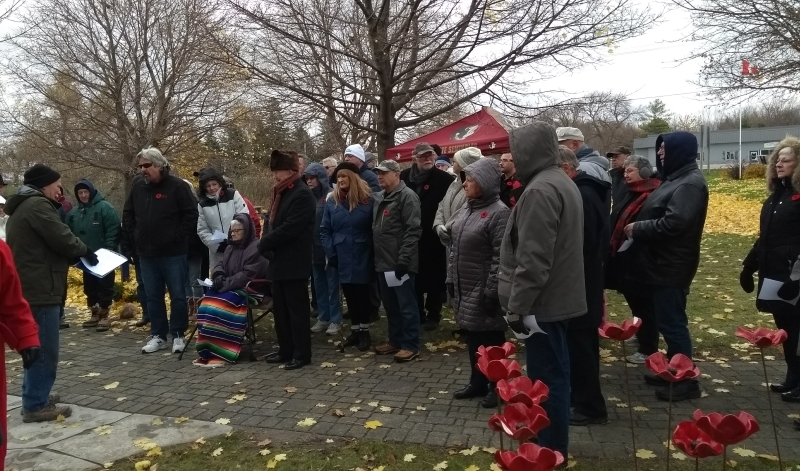 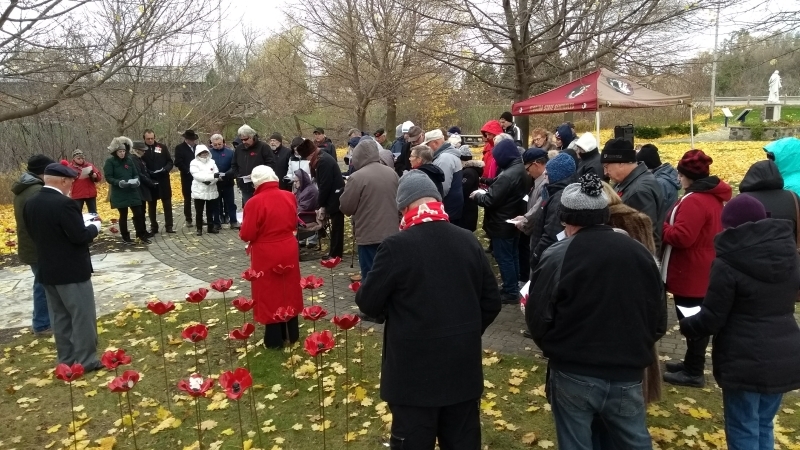 At one of the monthly meetings of the St. Joseph and Area Historical Society a discussion was initiated to see what we could do to create a greater awareness and provide a higher profile of the monument in the park for the Remembrance Day Services. 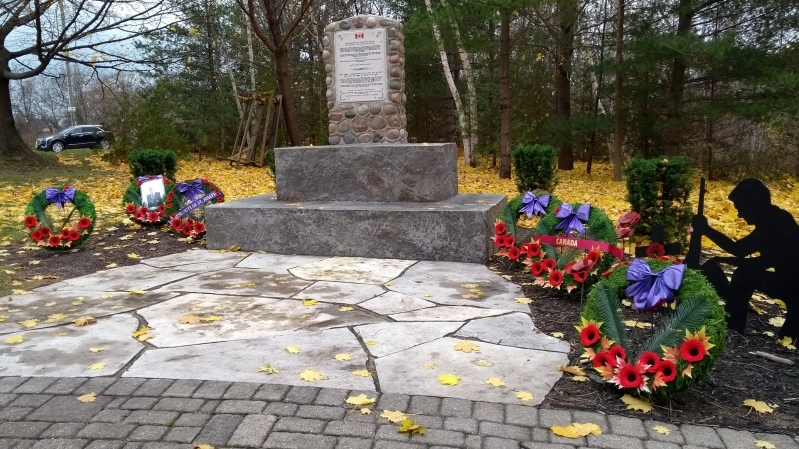 After some investigation we discovered that VAC, Veteran Affairs Canada had a Cenotaph/Monument Restoration Program where you could apply for grant funding for not-for-profit organizations as well as provinces, territories and Municipalities. 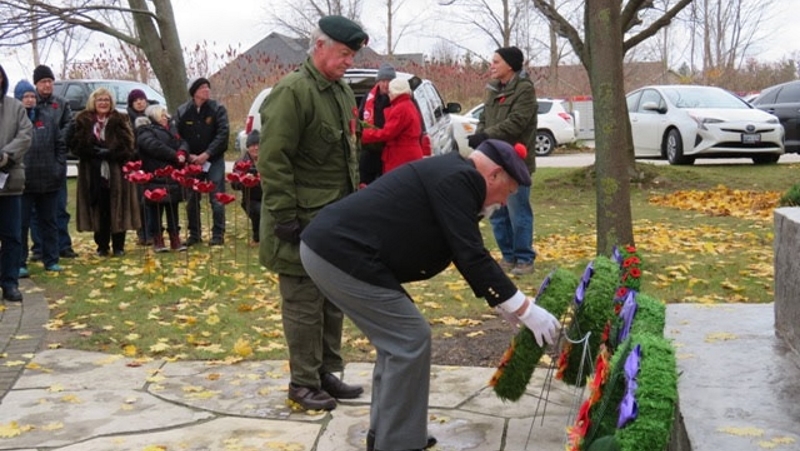 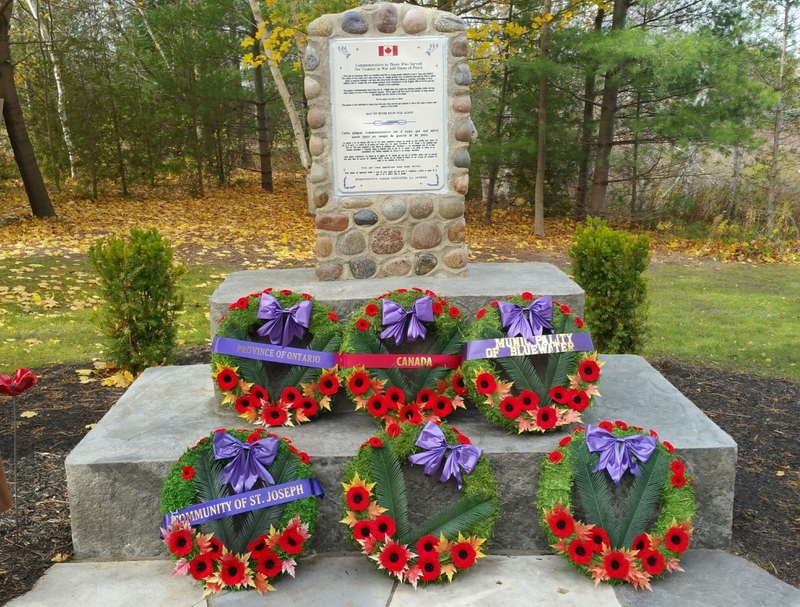 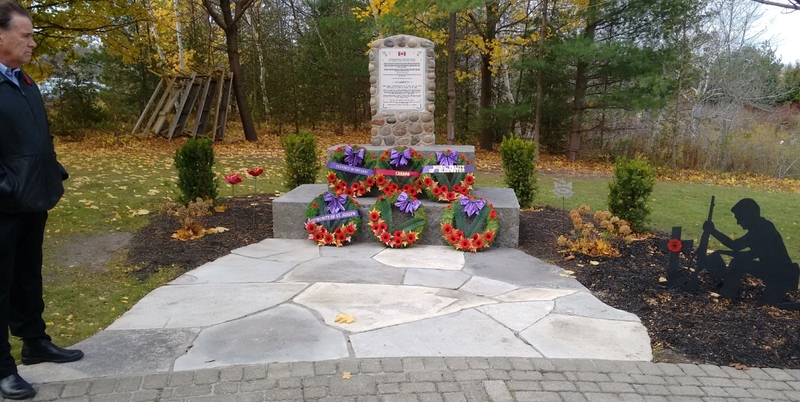 The funding program was initiated to provide funding to repair, restore or expand a structure that was erected to commemorate Canadian Veterans or war dead. 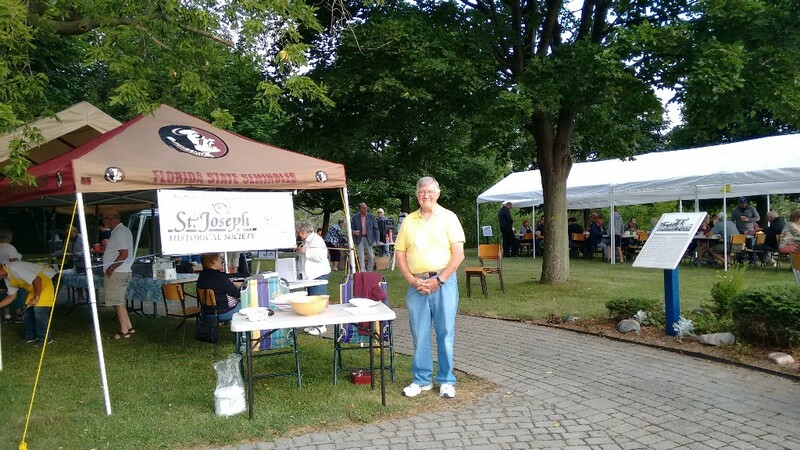 Based on the criteria for qualification the SJAHS filled an application to VAC for funding for our project. 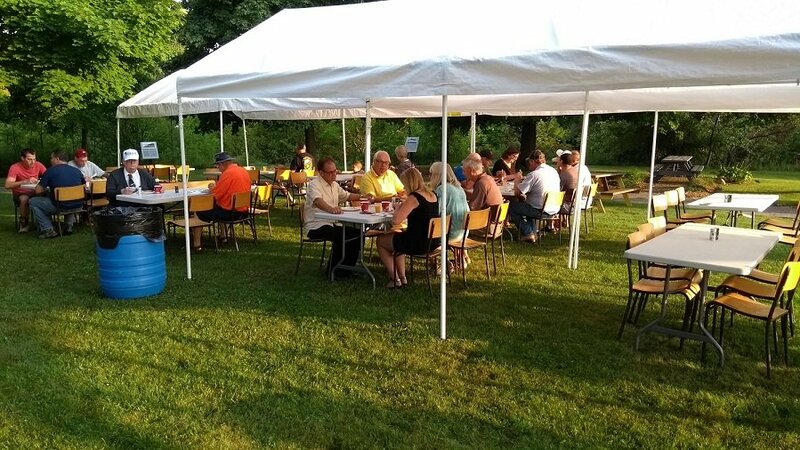 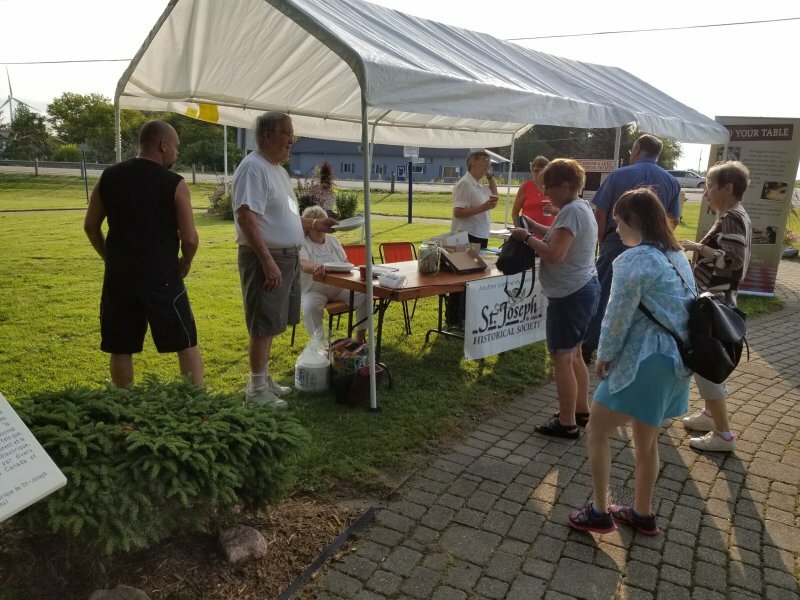 At the same time a presentation was made to Municipality of Bluewater to advise what the Society was planning to change at the park and to request support through a grant application. 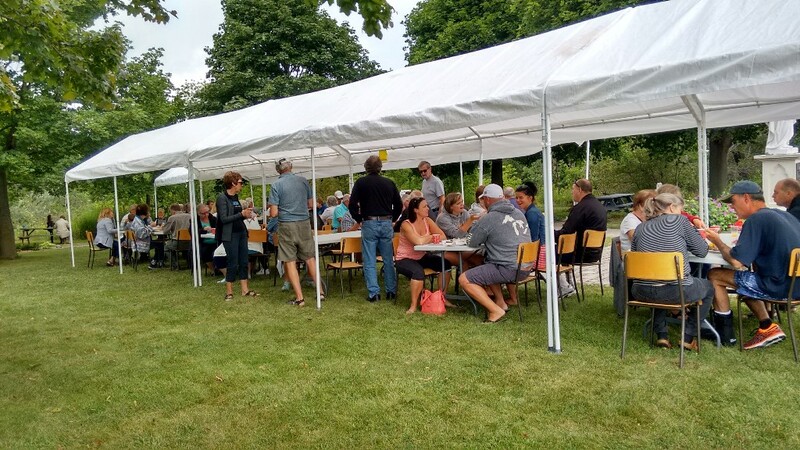 On March 08th, 2016 the Society received confirmation that our grant request was approved, subsequently the Municipality of Bluewater approved our grant application and the project was on its way. 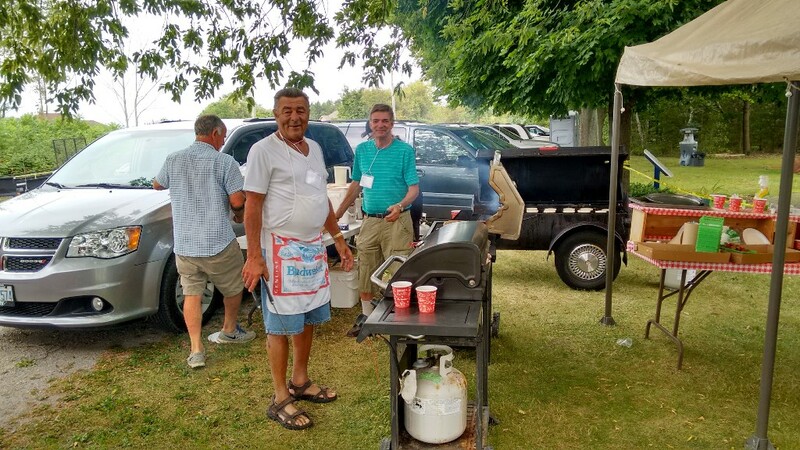 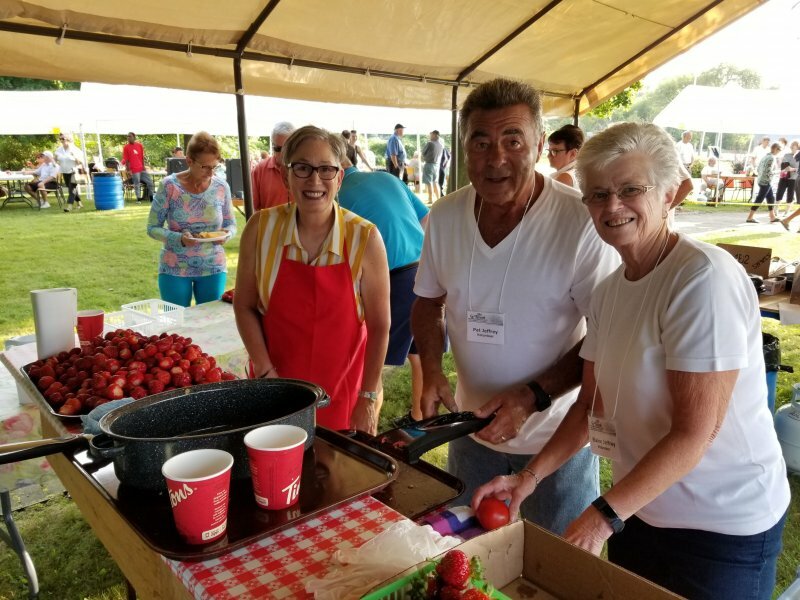 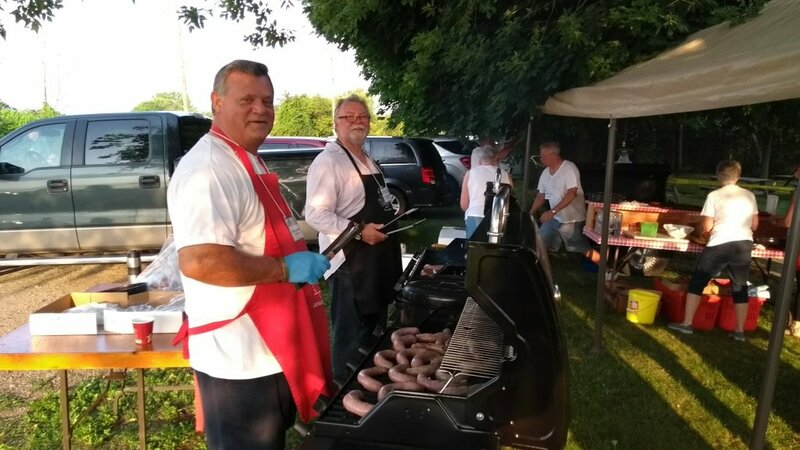 Mike Miller, President of the St. Joseph & Area Historical Society, was recently honoured with the Ontario Volunteer Services Award in recognition of his 15+ years of continuous service to the Society since it was founded in 1997.